After an agonizing three weeks of living with shingles, it was the first time I went out last night. Kepi and I had dinner at Peri-Peri and spent sometime shopping afterwards. Well, my left eye has not fully recovered yet, but I am hoping the next few weeks will be a lot easier. Spring break is coming to an end, and I really need all my senses back together as I delve into the next five weeks of spring semester. After shopping, we decided to hit Krispy Kreme. Yup, lucky us the Krispy Kreme shop is open until 12 AM. Fresh from the fryer! You gotta have one of those. I had two. On Saturday morning, I woke up to the sound of rain tapping the bedroom window. I've never been happier to hear the rain. I think this winter has overstayed its welcome because right now, I truly miss the warmth of the sun. For lunch, Kepi and I tried the newly opened The Burger Joint. 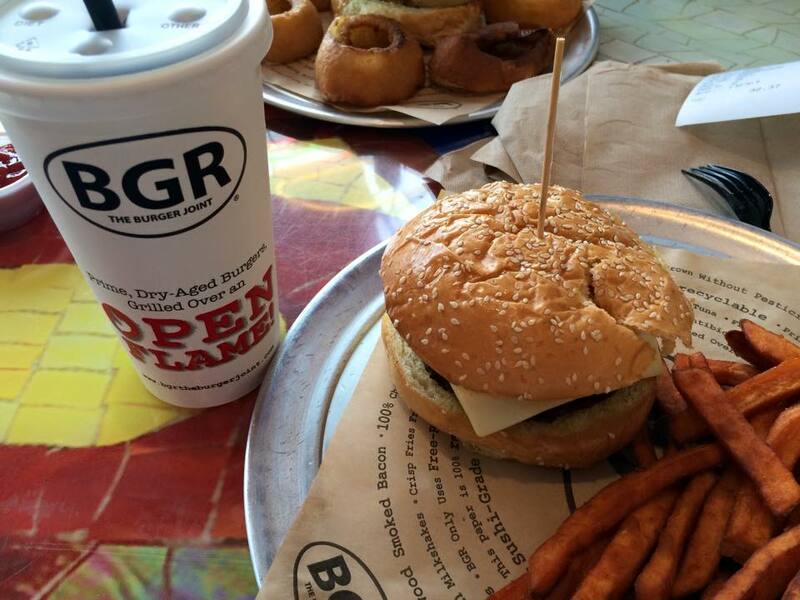 I was impressed with The Burger and I love their sweet potato fries. I'll be surely going back to try their other burgers. I thought their burger was big, but it was also delicious. 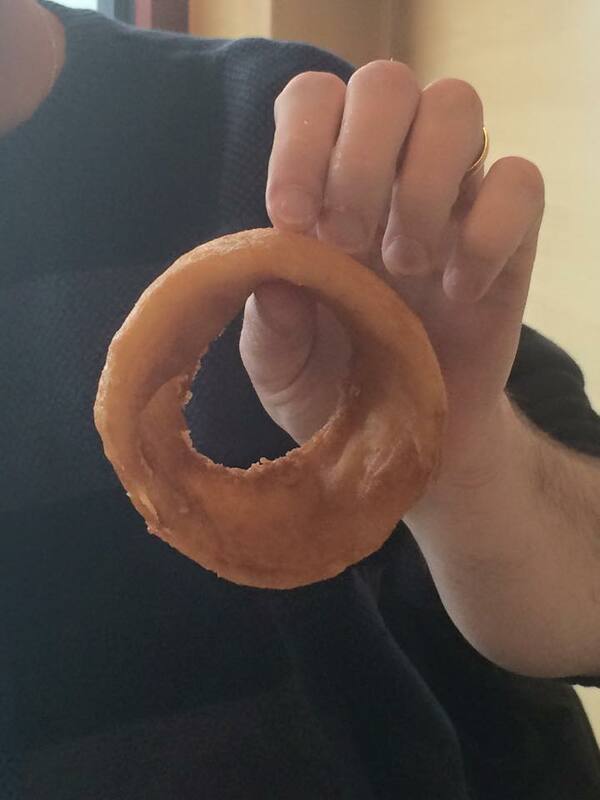 Here's the husband's giant onion rings. Since I'm a certified chocoholic, I picked me up one of these from the Lindt shop. 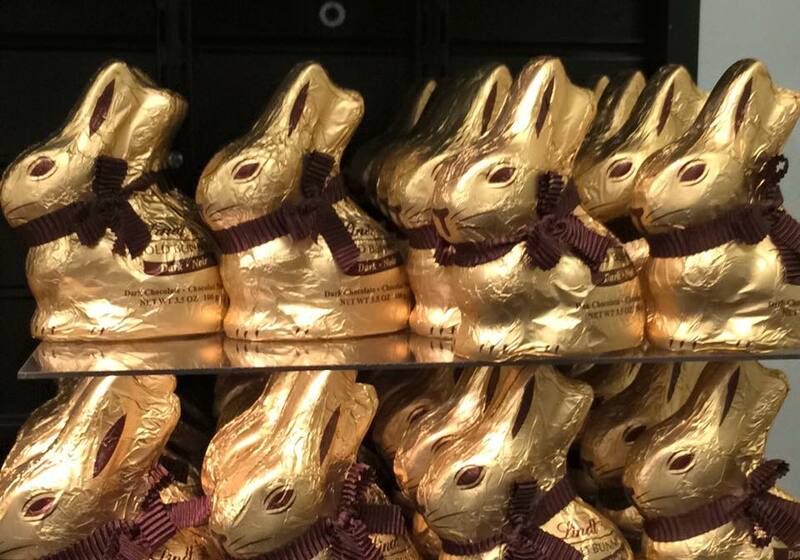 Lindt was having a 50% off on all chocolates. Just an update from me. I'm quite happy that I can finally get out, but I am not fully recovered yet. This is one of the longest time I've dealt with a disease. I think this is expected because my body is still recovering from my transplant. Honestly, I desperately want to get better. Please send some prayers my way. I will pray for you Kayni and hope you'll feel better soon. Thank you, Loree. I am so tired of feeling sick. This shingles needs to go. Thank you, Daphne. I agree. I'm so ready to kick this disease and this wintry weather out. Just had krispy kreme yesterday! My favorite donut of all time! =D hope you get better! Krispy Kreme is one of my favorites too. Thank you so much for the well wishes and thank you for the visit. The one and only Krispy Kreme in the next town closed down a year or so ago. It seems not many eat donuts around here. Take care and hope you get springlike weather soon. Really? 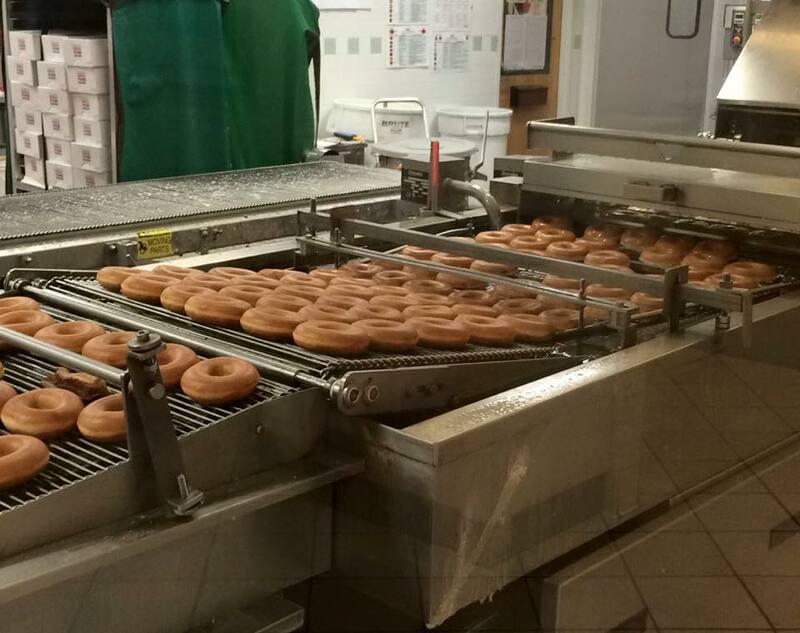 This Krispy Kreme was busy even at 12 am when we were there. I am ready for spring. Thank you, sis. I'm loving the pink too :). Glad you were feeling well enough to go out! I love chocolate too. I needed to get out. After three weeks of being sick, it felt good to get some fresh air. Oh yes, chocolates...I love 'em very much. Honey glazed ba yan ng Krispy Kreme? ang sarap nyan kasabay ng kape! Yung ibang may mga flavors nila, i find them too sweet kaya mas gusto ko yung honey glazed nila. Oo, yan yong honey glazed. Yan din lang ang ino-order ko. Sa akin naman, gatas ang gusto kong isabay diyan. Hmm...now I'm craving cake ice cream. Kapag may sakit ako yong comfort food ang gusto ko. prayers for you kayni! im sure itll all get better soon. and those are well deserved treats :) hugs! Thank you, Lui. Hugs back!